I scream, you scream, we all scream for ice-cream. Foodie or not, everyone craves this delicious, creamy, and flavored mush that just melts in the mouth. Especially when summer is at its peak. This is the time when ice-cream is not limited to just dessert. It’s a necessary respite from the scorching rays of the burning sun. These amazing ice-cold cones come in a variety of unusual ice cream flavors for us to choose from. With the advancement in technology and the customers’ widening desires to challenge their taste buds, it has been possible to incorporate more and more new unusual ice cream flavors into the market. You can find this at ‘Ice Cream City’ in Namja Town, an amusement park in Tokyo. They have a large freezer with every flavor beyond imagination. Saki, cow tongue, whale, squid, horse, whatever your poison might be, they’ve got it. Situated in Maine, Ben and Bill’s Chocolate Emporium’s in-house specialty is their lobster ice-cream. It is a butter-flavored ice cream. They buy cooked lobster meat from a local lobster pound, chop it up, butter it, and fold it into an ice cream. During peak season, hundreds of people daily sample this and it is one of their most popular items for shipping. Yep, you read that right. A restaurant in the Davao City of the Philippines came up with this unusual flavor when they were offered crocodile eggs from a crocodile park next door. The owners claim that crocodile eggs are more nutritious than regular chicken eggs. Are you getting (crocodile) tears of joy yet? Covent Garden, a restaurant in London came up with the idea of using breast milk instead of dairy for one of their products and named it ‘Baby Gaga‘. It turned out to be as controversial as the Lady version of it. Just a few days in the business, they were shut down by health and safety officials from the Westminster Council. But they keep coming back on occasions. How well do you think spice and ice go together? Take a trip to Rehoboth Beach in Delaware to find out. They have come up with an ice-cream flavor so hot, they got featured in Ripley’s Believe It Or Not! It comes with three sauces made of ghost peppers (which, needless to say, are the hottest peppers in the world). 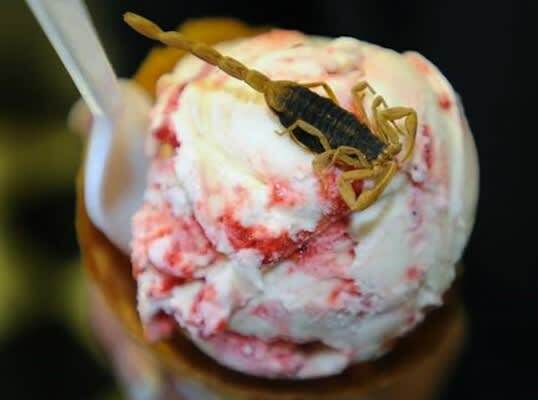 Oh, and with a frozen scorpion on top. Yikes! The brainchild of Ahrash Akbari-Kalhur, the owner of Camden Dairy and a kitchen alchemist, is this summer special treat of Chin Chin Labs in London. 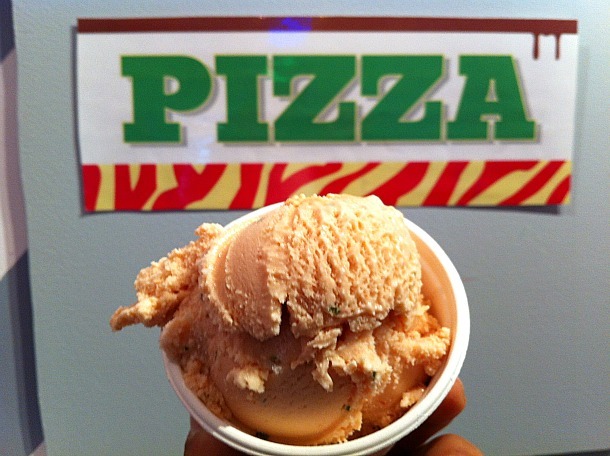 The Camden Dairy uses liquid nitrogen to make seasonal ice-creams. Grass for summer, hay for harvest, and pine needles for Christmas. No, it’s definitely not for the health conscious. Numerous restaurants over the US serve this. 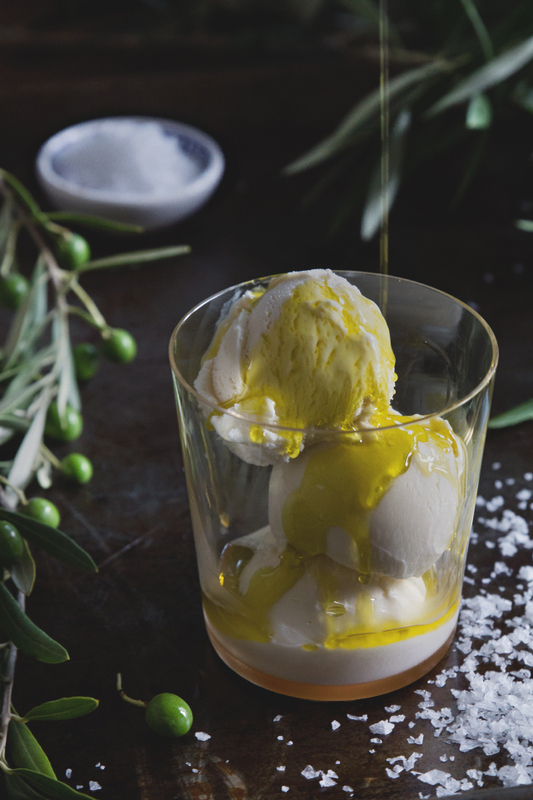 Nutty and slightly fruity, this olive oil doesn’t need any bread to dip in it—just your spoon. Popeye’s favorite? A goth with a sweet tooth? 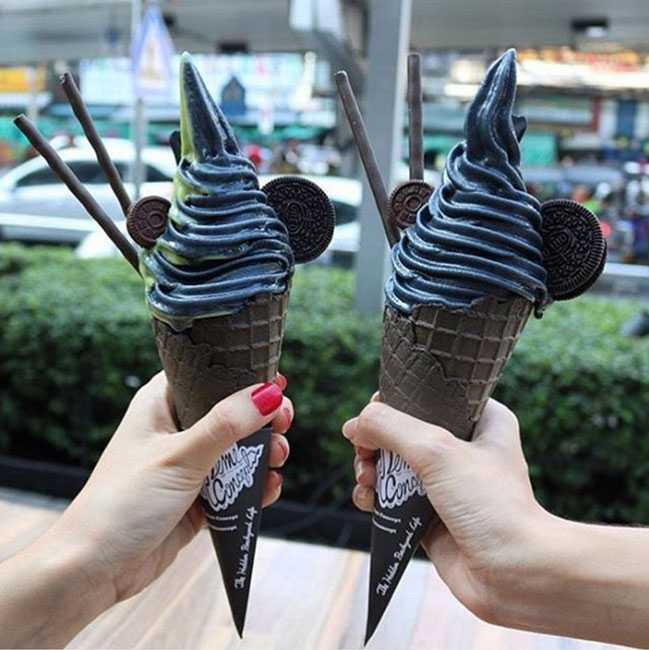 Head over to New York’s Morgenstern’s Finest Ice Cream which serves this black charcoal activated ice-cream named “Coconut Ash“. Finally, a dessert that makes you feel badass while having it! Why stop at the blue pill when you can have an entire blue dessert? British inventor Charlie Francis created the “Arousal” flavor by adding 25g of the erectile dysfunction drug and champagne to each serving. So how many of these unusual ice cream flavors are making it to your checklist? !